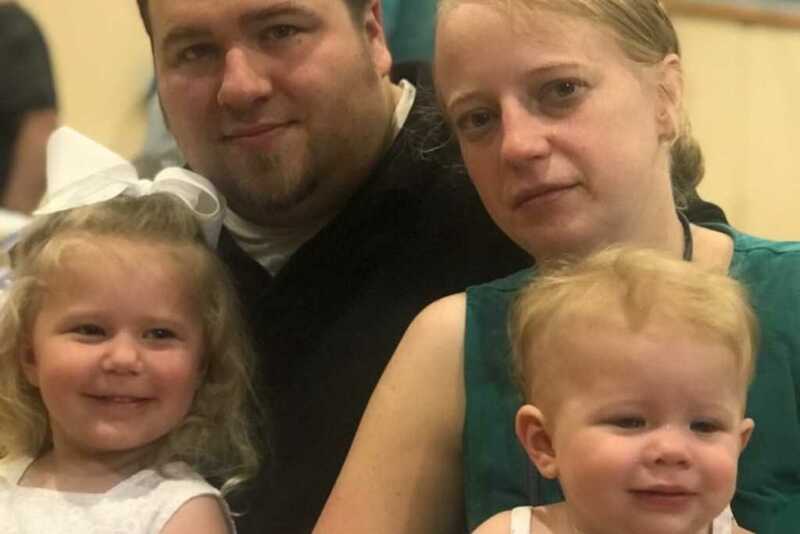 A GoFundMe campaign has been launched to help support two children who have been orphaned after both their parents were killed Saturday in a devastating car accident. Abby and Adam Jackson were among 20 people who lost their lives when the SUV limousine they were traveling in careened through a stop sign and plowed into a parked vehicle in upstate New York Saturday night. They leave behind their children, Archer, 4, and Elle, 16 months. As of Monday morning, the GoFundMe campaign had raised just under $60,000, with a target of $75,000. Abby Jackson’s sisters, Amy Steenburg, Mary Dyson and Allison King, all perished in the crash as they were on their way to celebrate Amy’s 30th birthday. Amy Steenburg’s husband, Axel Steenburg, and Axel’s brother, Rich Steenburg, were also killed. An additional GoFundMe page has been set up to try and cover some of the costs associated with their funerals. “Saturday, Rich, Axel and other friends and family passed in an unfortunate party bus accident. It is beyond devastating for everyone who knew them all. Please help ease the burden during this time and help donate to funeral expenses,” the page’s description reads. “I join all New Yorkers in mourning these deaths and share in the unspeakable sorrow experienced by their families and loved ones during this extremely difficult time,” said New York governor Andrew Cuomo in a statement following the horrific crash. Eyewitnesses described the horror of the impact, which occurred just outside Apple Barrel Country Store in Schoharie. There have been many questions raised over the condition of the stretch SUV limo, with the Washington Post reporting that passenger Erin Vertucci texted her aunt, Valerie Abeling, to say the limo was “in terrible condition.” The party had initially booked some sort of bus to transport them to the venue but were assigned the limousine after the original vehicle broke down. The particular section of road and intersection where the accident took place is notoriously dangerous, according to a local official. “There have been tractor trailers that have come barreling down that hill and it was a miracle they didn’t kill somebody,” Schoharie Town Supervisor Alan Tavenner told the Albany Times Union. It is difficult to fathom just how many families are in tatters as a result of this sudden tragedy. Please take some time today to pray for all of those affected.